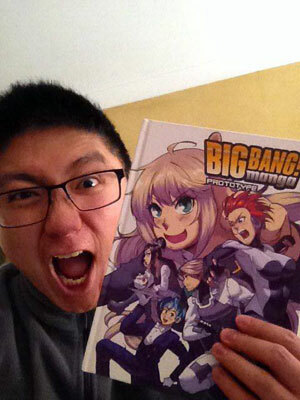 ​What Is Manga Big Bang®? 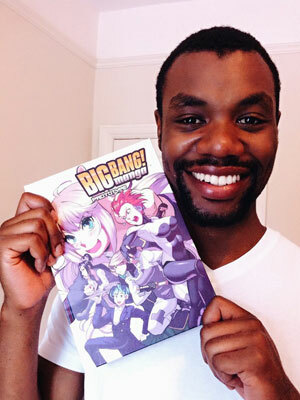 Manga Big Bang® is UK’s original manga magazine featuring multiple manga comic series and one-shot manga comics. International manga creator, public speaker, former medical doctor. Having left the medical field, Vivian had gone on to learn the art of making commercial success out of manga, undertaking apprenticeship under authors Machiko Maeyama and Kenjirou Hata, and debuted as professional manga creator at Shonen Sunday Japan. Since then, she had founded Dr.Vee Mangaka Club, and nurture the future generation of manga creators internationally using the latest technique and technology. Ricky Hardjono B. App Sci B. Arch. Under the tutelage of Dr.Vee herself, Ricky has a natural talent in storytelling and bringing out the best in the stories written by Big Bang's authors. His motto is 'Readers won't mind reading a Manga with mediocre art but an amazing story, but will not keep reading a Manga with amazing art but a mediocre story...'. He is a stickler for details when it comes to story writing. Obi believes that stories contain the essence of what it means to be human. He has focused to attain an ability to read between the lines of any tale to find its deeper meaning. He finds Manga is to be the most immediate, impactful and accessible medium for exploring the hero’s journey. His role is to make great stories become a great experience.